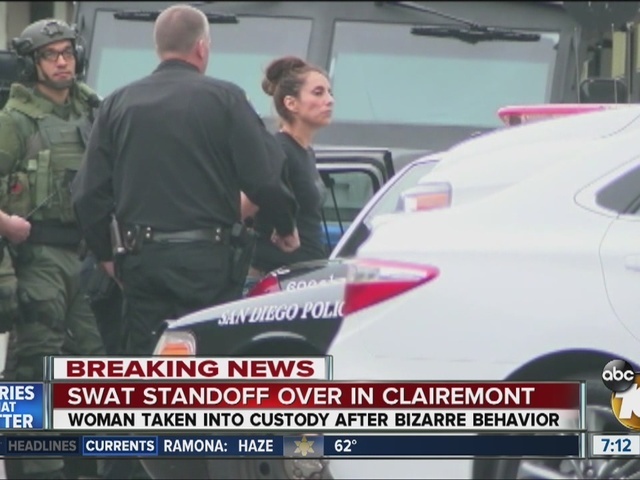 A woman was arrested after a five-hour standoff at a Clairemont apartment complex, according to San Diego Police. 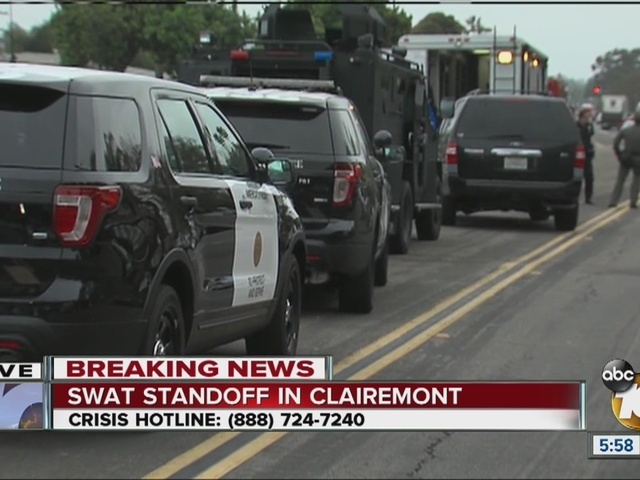 The SWAT standoff in the 3100 block of Clairemont Drive began around 1:28 p.m. The woman was threatening to hurt herself and others, according to San Diego Police. Neighbors reported seeing the woman with a gun. Police said she was taken into custody peacefully around 6:28 p.m. when she walked outside to smoke a cigarette and to walk her dog. Traffic lanes in the area were blocked off to through traffic as a precaution.